Yes, I had cooked with herbs before, or I thought I had. 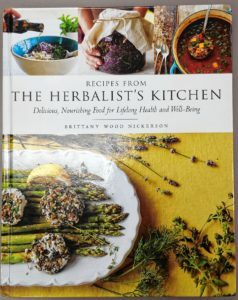 But the first lesson that Conway author Brittany Wood Nickerson’s Recipes from the Herbalist’s Kitchen (just out from Storey Publishing in North Adams http://www.storey.com) taught me is that my prior forays in cooking with basil, oregano, and thyme were feeble attempts at best. 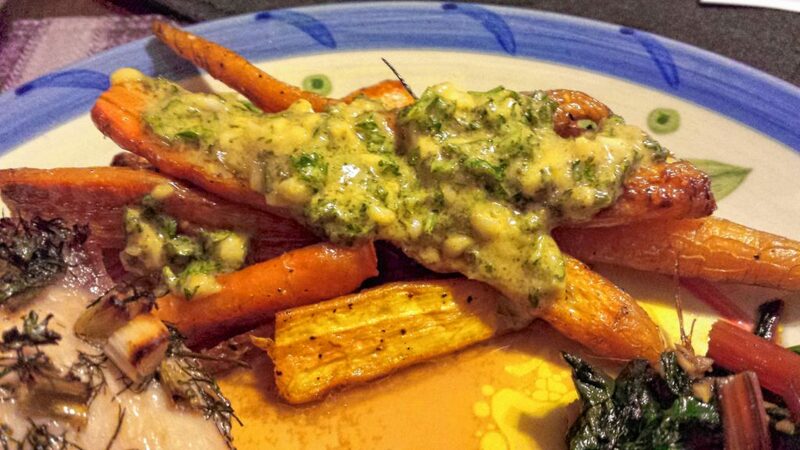 My wife and I picked a recipe for miso peanut sauce and the first ingredient was two full cups of “packed” cilantro. Two packed cups! We had a bunch of cilantro from our farm share with Stone Soup Farm in Hadley, but we dashed to the store to double it. Nickerson’s book plays two roles — one as a collection of recipes that the cover rightly bills as “delicious” and “nourishing,” and the other as a primer on a dozen culinary herbs and how they can be used to promote good health. 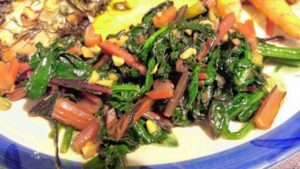 The section on cilantro (Coriandrum sativum) boasted that the leafy herb is a digestive aid, helping relieve gas, ease indigestion and diarrhea, reduce cholesterol, treat hives or rashes, and even calm nerves. We used regular rice vinegar, common soy sauce in place of tamari, and skipped the cayenne, but were faithful to the recipe apart from that. 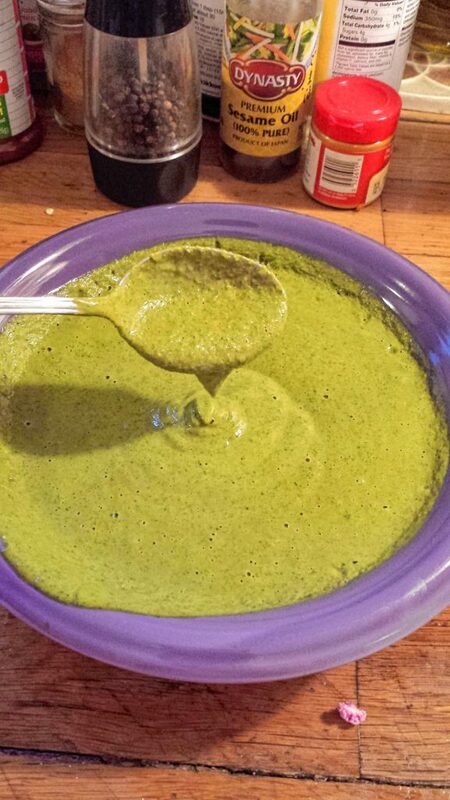 It all went into the blender and came out a grayish green with a thick course texture. Spooning it over our bowls of hastily prepared stir fry was the work of a moment, and soon we were savoring the sauce. The flavor was excellent, yes, but it actually felt healing to be eating it. 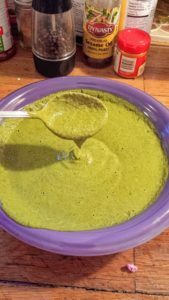 Something about the mix of raw ginger, garlic, and cilantro combined with the peanut butter and sauces seemed to clear my lungs and lift my spirit. Both my wife and I went back for seconds. We were hooked. The next time we opened the book, we decided to take on three recipes at once: roasted tomatoes with basil and olive oil, roasted onions with sage butter, and — the crown jewel of the book — oregano-crusted chicken. The meal was out of this world. 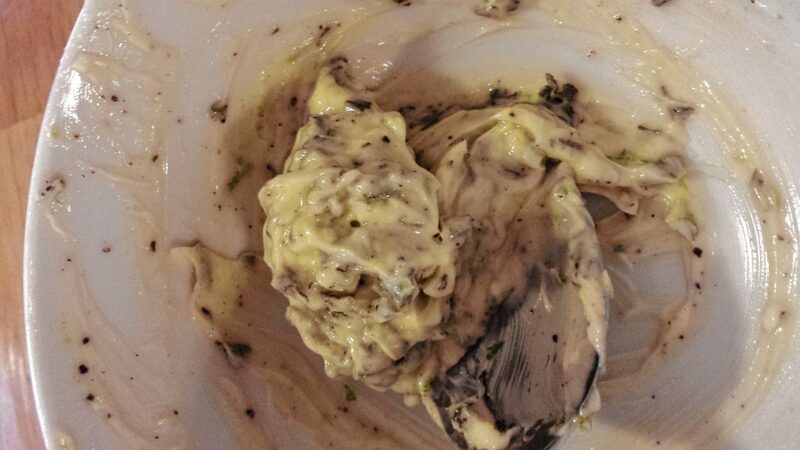 We couldn’t get enough of the sage butter, which included salt, pepper, lime zest (substituted for lemon), and more than two tablespoons of sage fresh from the farm. 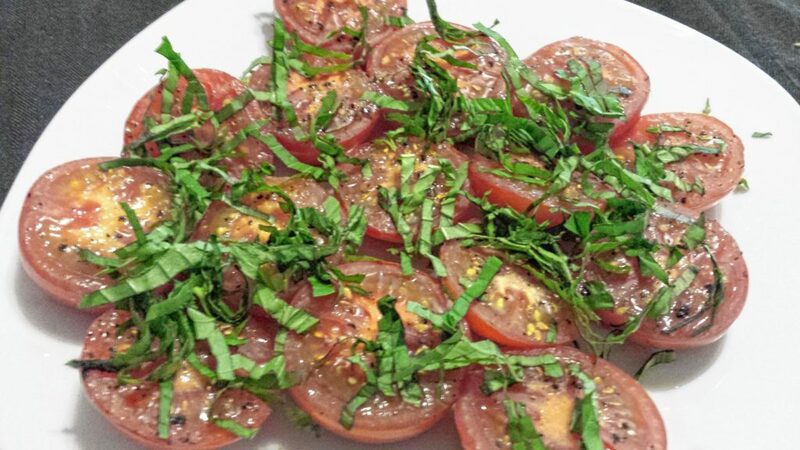 The tomatoes with basil were, as always, a summer classic. But the chicken — covered in loads of oregano, garlic, and olive oil — had to be the best chicken I’d ever had in my life. 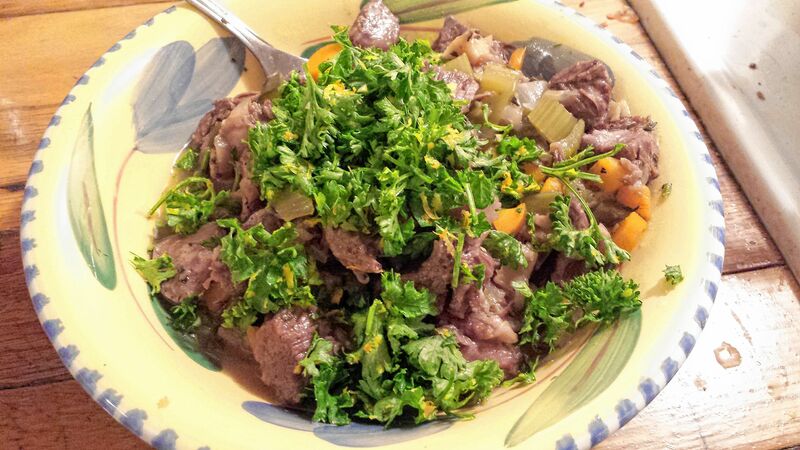 It helped that we got leg quarters from Sutter Meats on King Street and fresh oregano from Stone Soup Farm. The only problems I have with this book are that some of the ingredients are hard to come by (I’m still looking for sunchoke and burdock root for the vital roots kimchi) and several of the recipes take a long time. The braised beef shanks with gremolata (essentially parsley, garlic, and lemon/lime zest) took four-and-a-half hours from shopping to eating, but even then the result was worth it! 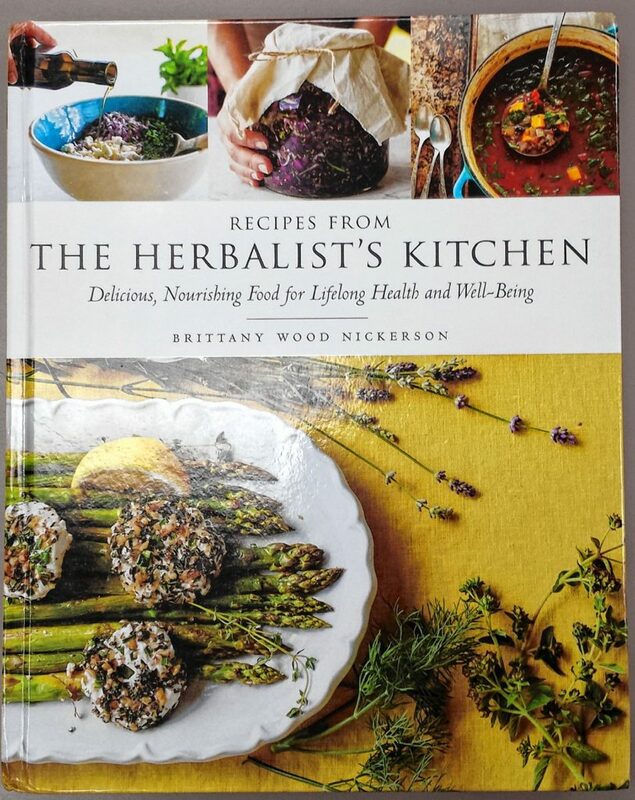 For those looking for delicious meal ideas or those looking for a better understanding of how herbs can contribute to a healthy diet, Wood Nickerson’s book is a good start. Contact Dave Eisenstadter at deisen@valleyadvocate.com.